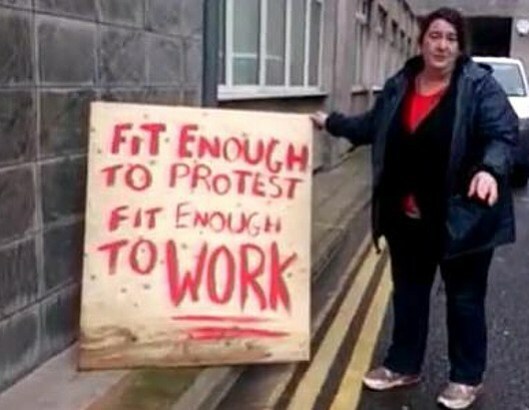 Protestor with a sign found outside Atos’ Weston-Super-Mare offices yesterday. Clearly this office contains some very hard-line supporters of government policy, whose attitude demonstrates the blinkered, small-minded, fantasy-world attitude that allows policies like the Atos assessment regime to exist in a supposedly advanced country like ours. 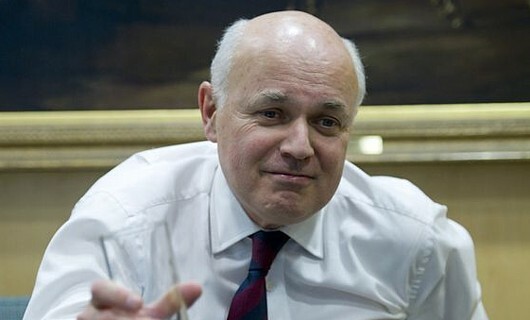 Ian Duncan Smith: Has all the leadership ability and petty tyranny of Red Dwarf’s Arnold Judas Rimmer. It also points to the kind of officious and pettily vindictive mentality now all too prevalent in the DWP under Ian Duncan Smith. I have already blogged before on the similarity, in my opinion, between Ian Duncan Smith in his delusions of political and military grandeur and his bully and contempt for those below him with Arnold Rimmer in the SF comedy Red Dwarf. It’s something of a truism that regimes take on the psychology of their leaders. The Soviet Union was a brutal tyranny, because its founders, Lenin and most particularly Stalin, were autocrats with a strong desire to seize and hold on to power and a fear of those below them. This psychology became a functional part of the system they created, with the officials at every level of the hierarchy bullying those below them, while at the same time plotting to take over their superiors’ positions when they in turn would be denounced and arrested. Although politics in the USSR became much less lethal after Stalin’s death and the attacks on his ‘cult of personality’ in Khruschev’s Secret Speech of 1953, an attitude of petty officiousness and contempt for the Soviet public still remained among the system’s minor functionaries. Several Western writers on the Soviet Union noted how, wherever you went, there would always be a woman behind a desk, scowling at you and responding, ‘Nyelza!’ (‘It’s forbidden’) when you asked a question. One of the travel writers I read told how he was stuck in a stiflingly hot railway carriage during a journey through Russia in the 1980s. Despite the heat and the increasingly stuffy atmosphere, the carriage’s windows remained tightly closed. 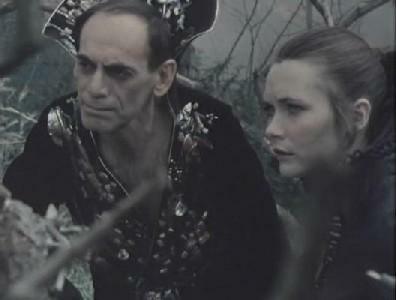 When he attempted to open them, the female supervisor rose up to snap them shut again with a snort of ‘Nyelza!’. The writer says at one point that the whole country appeared to be run by these ferocious women behind their desks. The writer did, however, record a minor victory of the Soviet public over these petty officials. He was stuck in a long queue waiting to use the ‘Up’ escalator at the Moscow metro, if I recall correctly. There was no-one coming down the ‘Down’ escalator, which had a sign saying it was strictly forbidden to try to go up it. Standing in front of the escalators, making sure no-one did any such thing, was one of these ladies behind a desk. A young man then came running through the crowd, and before the female official could stop him, vaulted over the barrier and ran up the ‘Down’ escalator. The writer said he and the rest of the crowd silently rejoiced at this act of defiance. I don’t suggest anyone try this stunt, however, as I have a feeling someone was either killed or seriously injured a little while ago when doing something similar. 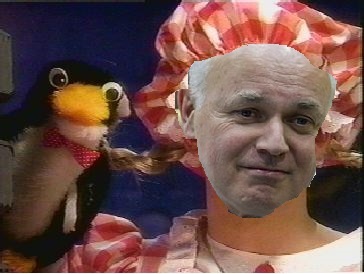 Ian Duncan Smith has similarly left his psychological mark on the Department for Work and Pensions. As I’ve blogged about before, this seems to be full of backbiting and treachery by the civil servants employed there, as they frantically compete for each other’s jobs. At the same time, all too many of them have complete contempt for the people below them. The Void especially has blogged about the outrage caused by some of these, who have boasted about the number of people they’ve sanctioned. He and many other Left-wing bloggers have also described the various secret instructions from the DWP to Jobcentre staff setting quotas for the number of claimants to be thrown off benefits. Some Jobcentres have even awarded prizes for those, who have sanctioned the most claimants, and there have been bonuses paid to those, who have done so. Clearly, despite Atos claims that they are not responsible for government policy, they fully share the contempt for the disabled and the unemployed shown by IDS and his staff in the DWP and Jobcentres. This attitude is blatantly clear in the above sign. In my experience, and those of many of the disabled people and their carers, who have commented on this blog, Atos and their officials are mendacious in the extreme. They have and will lie in the assessments and will falsify claimants’ answers in the assessment forms in order to have them thrown off their benefit. Their conduct and the assessment itself is based on the presumption that most people claiming benefit are actually capable of some work, even when it is clear that they cannot. In their view, they are, like the great mass of the unemployed, just scroungers, and so should be treated as such. Hence this nasty little sign. I don’t know if this would actually help anyone, but if anyone in Weston-Super-Mare is in dispute with Atos over the results of their assessment, it might be worth pointing to this sign as an example of the prejudice and contempt Atos has towards their claimants. I am also of the opinion that whatever Atos and the DWP try to say to the contrary, this sign should be given all the publicity it truly deserves to show just how Atos and its staff are motivated by contempt and spite towards the most vulnerable members of society. At a time when even the nastiest companies are concerned to give themselves the best, media-friendly image possible, this might cause them some degree of embarrassment. It probably won’t embarrass their boss, Thierry Breton, or Ian Duncan Smith and the disabilities’ minister, Esther McVey, as their too far gone for any kind of shame or even basic humanity by now. But it might – just might – add another little piece to pull their marketing managers up short, and make others question the wisdom of doing business with a company with such a bad reputation. Okay, it probably won’t. For all the bad publicity, Serco, Atos and G4S are still in business. But as ASDA keeps reminding us, ‘Every little bit helps’. Or is that Sainsbury’s? If you’re planning another protest against Atos in Weston-Super-Mare, their address is Regent House, Oxford Place, Weston-Super-Mare, Somerset, BS23 1JH. They also have a website here http://www.atoshealthcare.com/claimants/locations_home/Locations_Details_Weston%20. derives it from a painful sense of one’s own insignificance, a fear of death and the wish to have others die. It is associated with a low sexual drive and an inability to love. ‘It moves on the wings of aggression to overcome inferiority … Those whose power to love and consequently create has been broke will choose war inorder to experience an intoxicating sense of power and excitement’. (p. 510). This seems to be a good diagnosis of a man, who has falsely claimed, amongst other things, to have a degree from an Italian institution that doesn’t issue them, and whose claim to have been an officer in the British army is also highly questionable. 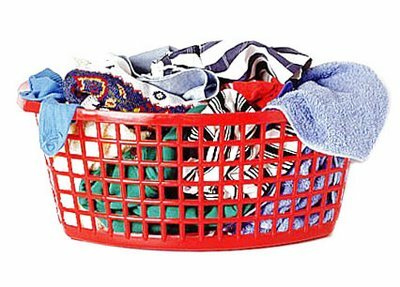 A laundry basket, though not possibly the type IDS has been known to hide in. Jaypot added a few more details to the discussion in her comment to the piece. IDS is a narcissist and he enjoys the power he has over people’s lives. I truly believe that he enjoys hearing about the deaths of people as he can only feel enjoyment, and, perhaps a sexual release in his persecution of the poor. Another emotion that IDS does feel is fear – he is absolutely terrified of everyone who is poor or beneath him, which has been seen on a number of occasions. One was hiding in a laundry basket in Edinburgh (PMSL) and one of the most famous ones is where he has the armed guards surrounding him when waiting to go into the committee about his “use of statistics and his waste of money on UC). Those armed police should NOT have had their guns pointed at anyone, least of all the small amount of people who had every right to also go into the committee hearing! I still think that should be dealt with by the police commissioner! IDS is coming to the end of his failed “career”, just like his whole life has been one failure after another. Here’s hoping karma gets him and let’s hope it’s very soon. Fear of the general public is another psychological trait IDS, and indeed Cameron and Georg Osborne, share with Stalin. None of them can be seen as ‘men of the people’ in the same sense of Hitler, Mussolini, or indeed, Oswald Mosely. While they like power, they seem to be definitely afraid of meeting the public except in highly organised and choreographed events. 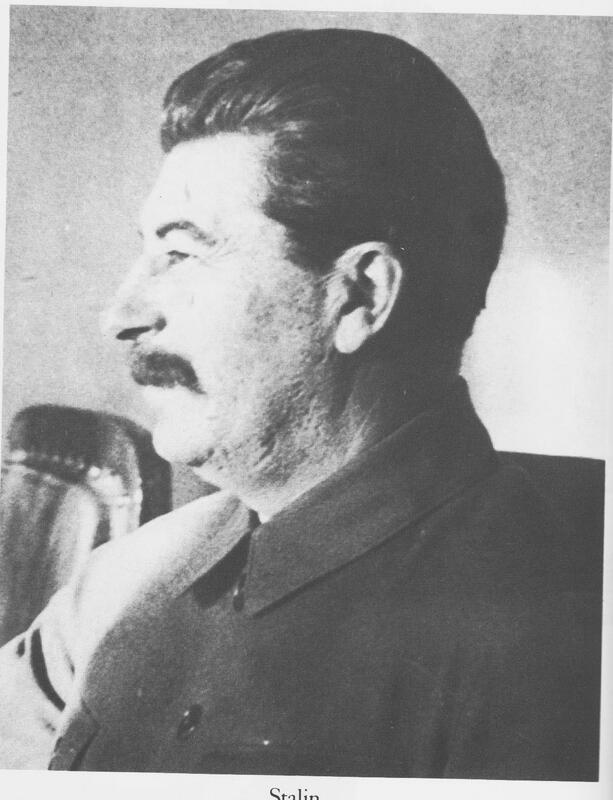 Until the 1930s, Stalin was very rarely photographed and granted very few interviews to the Soviet press. During the purges he was so terrified of the reactions of the Soviet people, that at the annual May Day parade in Moscow one year Red Square was empty of crowds, except for a group of children waving banner and slogans located a quarter of a mile away from Stalin and the other Communist leaders. All the cheering heard during that celebration of Communist power was recorded, and played over loudspeakers. I similarly noticed that the Olympic Stadium was empty was David Cameron gave his speech imploring the Scots to stay in the United Kingdom. It was conspicuous that Cameron did not do the Scots the courtesy of addressing them directly in Scotland itself, but chose to make his statement in the London, the former metropolis of the British Empire. Furthermore, Alex Salmond has challenged him to a debate. Cameron has ducked this, saying that he will talk to the Scots people themselves later this year. This will, no doubt, be in a very carefully, micro-managed political walkabout, where hostile or dissenting voices can be side-lined or edited out to present an image of Cameron talking easily to an enthusiastic, or at least receptive, Scots public, rather than given the barrage of criticism and abuse he’s more likely to get north of the Border. It also looks very much that Cameron knows that Salmond is the better debater, and is desperate not to lose face by being beaten in an argument with him in public. As for the general public south of the Border, it was very noticeable indeed that there was no-one except the media in the Olympic Stadium when he made the speech. If it had been Oswald Mosely, that stadium would have been full, along with heckling and mass fighting. This obviously wouldn’t look good for the leader of an ostensibly centre-right part, although Cameron shares Mosely contempt for the organised working class. And so Cameron stands to give a speech in an empty stadium. George Osborne similarly appears anxious around the British public. One of my colleagues on the unemployment course I’m on at the moment remarked on how uncomfortable Osborne looked when he met a group of workers at an engineering factory on a political walkabout a few months ago. And so he well might. Osborne, like Cameron, is another aristocrat, who has nothing in common with the majority of the British people, and who clearly fears the reception he might get for his economic and social policies that are intended to shift the tax burden onto them and deprive them of even more public services in order to generate tax cuts for the rich. 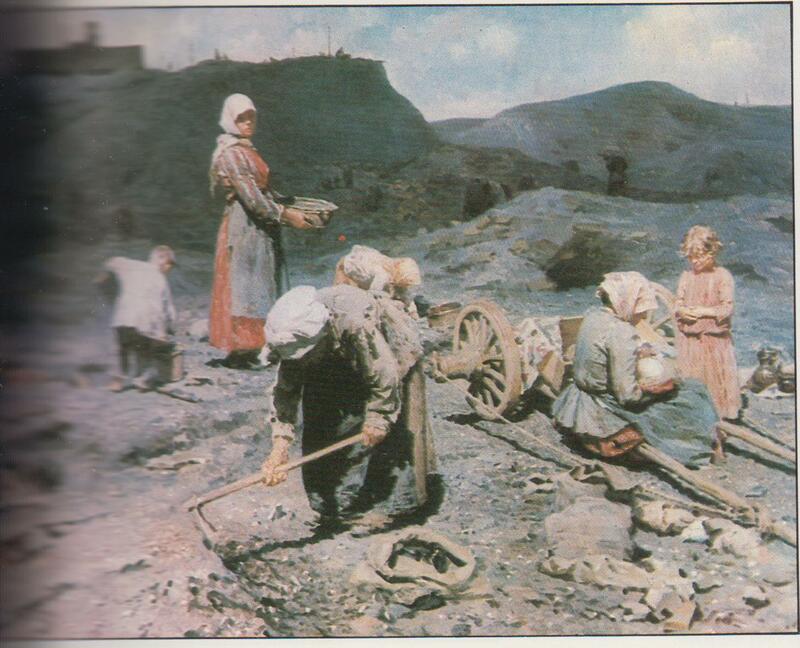 Soon after Stalin’s death, we abolished voluntary mass physical labor for youth and disbanded the collective farms. The initiative for the first came from the youth leadership at its congress of March 6 and was promoted by economists: youth labor was too costly and inefficient. I supported their initiative, though more for political than for economic reasons. I felt that voluntary mass labor was an outmoded form that encouraged quasi-military, monolithic thinking among our young people-thinking more akin to slogans than to freedom. This does, I think, also go straight to the heart of the thinking behind workfare in the definitely anti-Communist, private enterprise supporting Conservative party. The Conservatives like the army, or at least, they did until the Coalition decided to cut their funding too, and have tried to impose a military solution to social problems. I remember how they called for the re-introduction of conscription back in the 1980s to solve the problems of youth crime and poor education. A decade or so later, and Michael Howard was recommending US-style ‘boot camps’ to straighten out young offenders. The same mindset seems to permeate IDS’ and Osborne’s workfare. The Nudge Unit has been involved in shaping the various unemployment forms and procedures to that the unemployed see themselves and their own personal failings as the cause of their inability to find a job, rather than the economy or government policy. And mindless drudgery stacking shelves for Tesco and turning burgers also seems deliberately designed, not just to supply cheap labour to their corporate paymasters, but also to break the spirit of the unemployed. We have seen just how hostile the system is to anyone, who manages to get a fulfilling voluntary job outside of the menial drudgery prescribed by the DWP or Jobcentre Plus. Remember the case of the geography graduate, who was told that she couldn’t do voluntary work in a museum, and that she had to work instead at one of the supermarkets? Now the army states that its training is designed to mould the psychology of its soldiers. A friend of mine, a former army officer, once told me that the army tries to break you, in order to put you back together. As with all the rest of the government’s policies, the Coalition has adopted only the negative parts of this process: the breaking of the individual’s spirit. While they claim that workfare encourages a proper attitude to work, clearly the other qualities the army seeks to inculcate in its soldiers and officers – courage, self-reliance, initiative, are not required. If they were, there would be absolutely no problem with that graduate doing her voluntary work at the Museum. But all that is really wanted is demoralised, obedient drones for corporate exploitation. The Coalition conform to the psychology of tyrants like Stalin, who fear their own people, and attempt to destroy them physically and mentally. Workfare, like the mass ‘voluntary’ labour of the totalitarian regimes, is another tool in this process. The great 19th-early 20th century Anarchist, Peter Kropotkin, would have agreed. Kropotkin was a Russian nobleman and scientist, who had requested being posted to Siberia when he joined the Russian army. He had earlier been at the tsar’s court, and his experience there, and with the peasants on his own estate and in Siberia, convinced him that the peasants and ordinary working people were more humane and moral than the aristocracy. His research into the botany and animal life of Siberia convinced him that Darwinian ideas that stressed competition in evolution were incorrect, and that co-operation and mutual support were instead the driving forces of biological development. He published his ideas in his book Mutual Aid: A Factor of Evolution. His experiences also made him a convinced anarchist, believing that the state was both oppressive and unnecessary. Like many other anarchists, he believed that society could only reformed through a revolution. Unlike some contemporary anarchists, like Bakunin, he did not delight in violence, and his works take a more evolutionary line. He realised that the revolution would be violent and bloody, but believed that the new, co-operative order which would replace capitalism and individualism would develop from trends already in place. As proof of what voluntary groups could achieve without state support or interference, he pointed to charities and organisations such as the Royal National Lifeboat Institute in Britain, and the international courts set up by merchants in Europe during the Middle Ages, in which merchants administered their own laws. 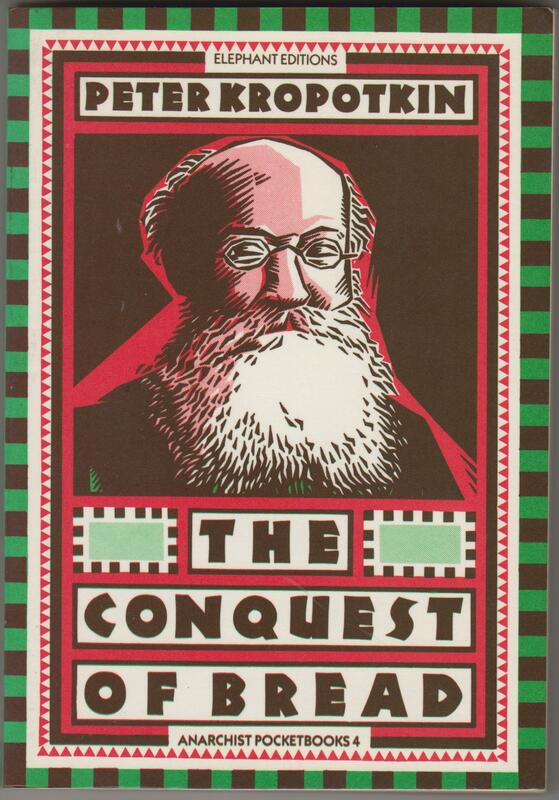 In his book, The Conquest of Bread (London: Elephant Editions 1985), Kropotkin discusses how an anarchist revolution would reform society, with a comprehensive reorganisation of industry, housing, agriculture, the provision of food and clothes, and the abolition of the wages system in favour of the direct provision of goods between communities and the workers in particular areas. ‘The large towns, as well as the villages, must undertake to till the soil. We must return to what biology calls ‘the integration of functions’ – after the division of labour, the taking up of it as a whole-this is the course followed throughout Nature. Besides, philosophy apart, the force of circumstances would bring about this result. Let Paris see that at the end of eight months it will be running short of bread, and Paris will set to work to grow wheat. Land will not be wanting, for it is round the great towns, and round Paris especially, that the parks and pleasure grounds of the landed gentry are to be found. These thousands of acres only await the skilled labour of the husbandman to surround Paris with fields infinitely more fertile and productive than the steppes of southern Russia, where the soil is dried up by the sun. Nor will labour be lacking. To what should the two million citizens of Paris turn their attention, when they would be no longer catering for the luxurious fads and amusements of Russian princes, Rumanian grandees and wives of Berlin financiers? ‘Of all the great days of the French Revolution, the most beautiful, the greatest, was the one on which delegates who had come from all parts of France to Paris, all worked with the spade to plane the ground of the Champ de Mars, preparing it for the fete of the Federation. That day France was united: animated by the new spirit, she had a vision of the future in the working in common of the soil. And it will again be by the working in common of the soil that the enfranchised societies will find their unity and will obliterate the hatred and oppression which has hitherto divided them. Henceforth, able to conceive solidarity-that immense power which increases man’s energy and creative forces a hundredfold – the new society will march to the conquest of the future with all the vigour of youth. One of the criticisms levelled at him is that of excessive optimism. He believed strongly in the essential goodness of human nature, to the point where he believed that even people guilty of the most heinous crimes would behave selflessly. In Mutual Aid, for example, he points to a case in France where a murderer in hiding dashed out to rescue a child from a burning house, knowing full well that this self-less act would lead to his arrest and execution for the crime. It’s been said that this is unrealistic. Given the horrors that have occurred in the 20th century – the mass killings by a succession of brutal and tyrannical regimes, and some of the truly revolting crimes you can read about nearly every day in the press, I have to agree. The other, related point is that, if people really are as good and noble as Kropotkin believes them to be, it’s doubtful how their condition can be improved through a revolution and Anarcho-Communism, when left to themselves in the present system people can be expected to improve their conditions and that of their fellows. It’s another good point. I have to say that I think any revolution is far more likely to end up in a blood bath than not, though there are exceptions, the greatest of which is the American Revolution. Nevertheless, ideas like Kropotkin’s continue to have a very strong influence on modern Anarchists, and strongly influenced the American hippy counterculture. Furthermore, recent studies of Anarchism have pointed to the various communities and experiments in work and business that have been set up according to anarchist ideals in parallel and within the modern capitalist state. The communal gardens Amnesiaclinic mentions sound like just such a social experiment, though they may not be directly influenced by Kropotkin or anarchist theory generally. I wish them, however, every success if they are bringing fulfilment and good food to the people that own and work them. Federation scientist Cozer and his companion, the freed slave Rashel, await galactic freedom fighter Blake in the Blake’s 7 episode, Weapon. Today’s I carries an interview with one of the founders of the Nudge Unit, David Halpern. He states that the Unit was set up four years ago under Tony Blair as his Strategy Unit, at a time when ‘the Blair administration was expanding the size of the state – spending more and regulating more’, often according to Blair’s own personal inclination. It did not, however, catch on with the Labour government, and only came into its own with the arrival of the Coalition in 2010. Halpern states that ‘Their instincts were generally ‘we’ve got no money and we’re going to constrain the size of the state and deregulate’. The Nudge Unit is now about to be part-privatised into a company partly owned by the government, partly owned by the social-enterprise charity, Nesta, and partly owned by Halpern and his fellow employees. As it is presented in the I, the Nudge Unit sounds very jolly and entirely innocuous. The piece opens with Halpern describing the work of the American psychologist, Carol Dweck, and her work showing how well school children perform in tests can be boosted simply by telling them that they’ve made a good effort. It then describes the way the Unit experimented with personalised text messages to encourage people, who were about to be hit by the bailiffs, to pay their bills on time. The only doubts raised about the Unit and its methods are whether they are effective. The boxed article states that it has its critics, who have argued, like Baroness Julia Neuberger in the House of Lords, that there is little evidence that it works on large scales. The main article, however, leaves the reader in little doubt: ‘A lot in government were nervous of Nudge but the theory did work in practice – and the services of the Nudge team were suddenly in demand’. Hence its privatisation three years down the line. Now all this seems entirely benign. Few people would cavil at methods that get people to pay their bills on time, thus avoiding a visit from the bailiffs, or get children to do better at their exams, or, indeed, just to have ‘longer, healthier and better’ lives. In the 20th century, such departments like the Nudge Unit would have been the objects of considerable fear and suspicion, especially after the totalitarian regimes of the 20th century used propaganda and coercion to generate the mass obedience and approval they demanded from their captive populations. This found its expression in the various dystopian regimes portrayed in Science Fiction. One of the great Science Fiction series of the 1970s and ’80s was Blake’s 7. This was a space opera, whose heroes were a kind of ‘Dirty Dozen’ let loose in a strange, totalitarian far future. They were led, at least in the first two of their four TV seasons, by Roj Blake, a former dissident, who had been captured and then suffered psychiatric torture at the hands of the Federation. This was a future Fascist super-state, which governed through a mixture of military force, propaganda and advanced psychological techniques and drugs, that sapped the will to resist from its people. The Federation permitted no freedom of speech, belief or movement amongst its citizens. Dissidents were brutally murdered, and the survivors framed and re-educated. Heading its armed forces was the seductive Servalan, played by Jacqueline Pearce, and her henchman, the violent and psychotic Travis, played by Brian Croucher. Both Croucher and Pearce have appeared in Dr. Who; Pearce as a treacherous alien super-scientist, Jocini O’ the Franzine-Greeg in the Colin Baker/Patrick Troughton Story ‘The Two Doctors’, and Croucher in the early Tom Baker serial ‘The Robots of Death’. He has also appeared in Eastenders and as an East End hard man in the detective drama, New Tricks. Blake’s 7 was influenced by Star Wars and Star Trek, though it’s characters and background were darker than either of those two SF classics. Blake’s second-in-command, Kerr Avon, was a ruthless embezzler with a cynical contempt for idealists. ‘Show me the man who believes something, and I will show you a fool’. Such attitudes were not a fictional exaggeration. Similar sentiments were expressed by the evolutionary biologist, Jacques Monod, who once said ‘Scratch an idealist, and an egotist will bleed’. It isn’t hard to feel that the show’s creator, Terry Nation, had modelled the cool, rational, scientific Avon on Monod and other scientists like him. And the methods used by the Federation to keep its citizens enslaved were also chillingly real. The show several times covered conditioning and similar brainwashing techniques used by the Federation to break and then manipulate its victims’ psychologies. Blake himself had been conditioned by intensive psychological therapy after he was captured leading a revolutionary group. Under the influence of the therapists he betrayed the other members, confessed to his own guilt, and was then reprogrammed to forget all about the events, his arrest, trial and the mass executions of his friends and family. This aspect of the Federation was based on the notorious brainwashing techniques associated with the Communist dictatorships, particularly Mao’s China and the brutal regime of ‘self-criticism’ for those who challenged the Great Leader’s precepts during the Cultural Revolution. It also bore more than a little resemblance to the Soviet abuse of psychiatry revealed by Solzhenitsyn in Cancer Ward. Soviet psychiatrists had invented a spurious form of ‘schizophrenia’, which was curiously amorphous, taking just about any form required by the doctors diagnosing it and their superiors. It was used to incarcerate in lunatic asylums any and all opponents of regime. These ranged from religious believers to Communist idealists, such as a general and Old Bolshevik, who vociferously felt that Brezhnev’s Soviet Union had betrayed the noble principles of the Revolution. It also harks back to Skinner’s experiments in conditioning in the 1960s, and his fictional description of a utopian system in which the citizens had perfected themselves through the use of such psychological techniques. About a decade ago Adam Curtis described the way Freud’s nephew, Edward Bernays, had used Freudian theory to lay the foundations of modern PR in his landmark series, The Century of the Self. Curtis was similarly unimpressed by PR, and dissected the way such techniques were used by corporations, the government, and some of the more sinister self-improvement cults that sprang up in the 1960s to control people’s minds. He was particularly unimpressed by the way the self-realised people of the Hippy counterculture then went off and, from reasons of liberated self-interest, voted for Ronald Reagan. The existence of the Nudge Unit seems to suggest that Halpern and his fellows saw the theories, and instead of looking at the dangers and fallacies accompanying it like the rest of the viewing public, immediately thought it was all rather cool. 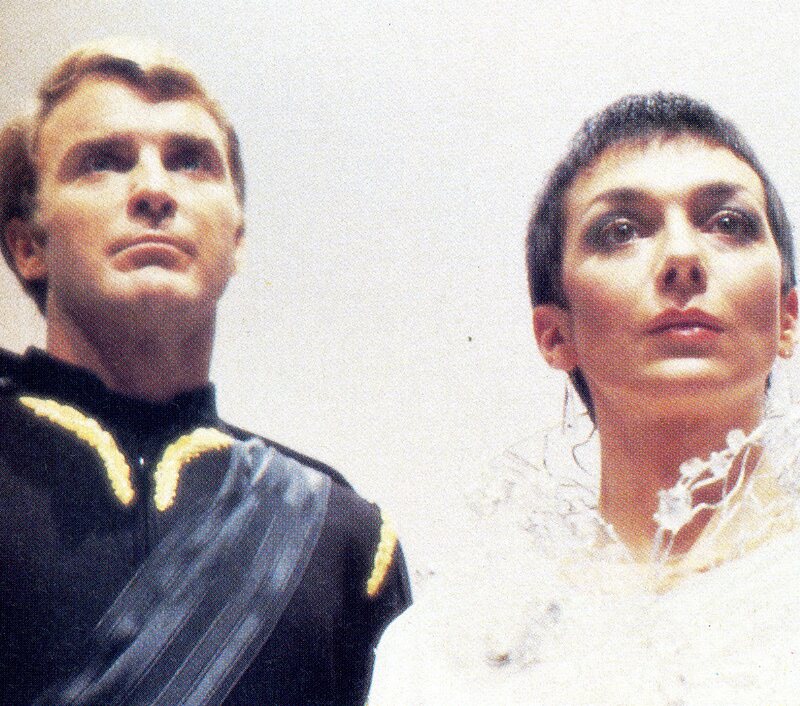 The psycho-social strategist Carnell and Supreme Commander of Federation forces, Servalan, contemplate the success of David Cameron’s ‘Nudge Unit’. Apart from the use of conditioning and psycho-therapy, the Federation armed forces also included an elite corps of ‘pscho-social strategists’, nicknamed ‘puppeteers’ by the rest of the Federation’s Starship Troopers. These specialised in using advanced psychological techniques to predict and manipulate the behaviour of the regime’s opponents. For example, in the episode, ‘Weapon’, Servalan uses one such puppeteer, Carnell, played by Scott Fredericks, to predict the mental breakdown and then manipulate a scientist, Cozer, who has designed an unstoppable superweapon, IMIPAC. Her goal is to seize the weapon for herself, while at the same killing the Blake and his crew and taking over their spaceship, the Liberator. Of course it all fails, and the weapon is taken over instead by the former slave girl, Rashel, with whom Cozer had escaped, and the other weapon in Servalan’s plan, a clone of Blake. The two become guardians of the weapon, with Travis remarking wryly ‘The weapon protects itself’. With fears of totalitarian states manipulating and abusing their victims’ minds in reality and SF, something like the Nudge Unit would have been enough to bring anyone with a distrust of authoritarian government out onto the streets, from old school Conservatives with a hatred of Communism and Fascism all the way across the political spectrum through Liberals, Socialists to members of the Hippy counterculture, who were extremely suspicious of what their own governments were doing about this through reading the reports about MKULTRA and the CIA LSD experiments in the underground press. And there are real dangers to this. Who, for example, decides what project is going to make people happier, with longer, better lives? Cameron undoubtedly claims it’s the Tories, but with something like 38,000 people dying per year thanks to welfare cuts and benefit sanctions, we can safely discount his opinion. Mike has several times mentioned the Nudge Unit in posts on his blog over at Vox Political, pointing out that the forms and courses used by the Coalition as part of their welfare to work package have been set up by the Nudge Unit with the deliberate intention of getting the unemployed to blame themselves, rather than the government’s policies, for their inability to get a job. Like the children in Dweck’s experiment, they are being encouraged to do better in a situation that is not their fault. It tacitly reinforces the government’s values and the economic system which leaves the unemployed without a job, and frequently without hope. And this is most definitely malign. This is quite apart from the dangers of ‘function creep’, in which an administrative technique or department gradually acquires more power and extends its scope, as more administrators see its potential for solving their problems. The Nudge Unit is perhaps only a minor part of British government at the moment, but it has the potential to become something far larger and much more sinister. If we don’t carefully monitor it and similar initiatives, it could easily expand into something every bit as totalitarian and manipulative as Blake’s 7 Federation and its psycho-strategists. I found the opening titles to the first season of the Blake’s 7 on Youtube. They show some of the major themes of the Federation – the use of armed force, brainwashing and surveillance. I leave it to you to decide for yourself how much of this unfortunately is coming true, though there are surveillance cameras all over the streets and Boris Jonson has bought two water cannons to use on any more protesters in London. Here it is. Enjoy! This morning, the BBC’s breakfast TV show covered the activities of a new group, Bite the Ballot, which is attempting to combat voter apathy amongst young people and encourage them to vote. The programme showed one of their members explaining to a group of young people that unless they vote, they have no voice in determining important government issues and that somebody would be voting for them. They also interviewed one young woman, who gave the reasons she believed that young people didn’t have an interest in politics. She didn’t take much interest in it, because she felt she didn’t know enough about it. Politics, and the differences between the parties, for example, weren’t taught in schools. And without a proper grounding in these issues, young people simply had no interest in it or voting. This cynicism and apathy is partly caused by the venality and mendacity of politicians themselves. The expenses scandal that broke out doubtless confirmed many people’s belief that politicians were all corrupt and just in it for themselves. 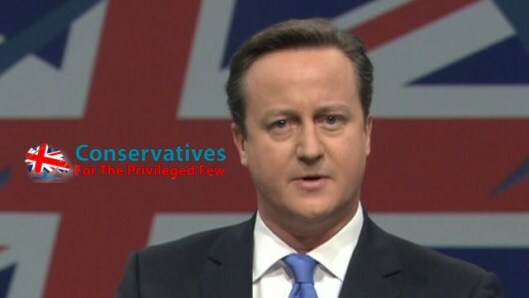 Nor would recent revelations about Clegg and Cameron’s lies about the NHS and tuition fees contradict such opinions. Mike has blogged on the report on the Guardian, pointed out to him by one of the great commenters on his blog, that Cameron made his statement that he would not privatise the NHS, and Clegg declared that he would not raise tuition fees before the general election with the intention that they would not keep these promises once elected. The public was lied to by a pair of cynical media manipulators of whom Goebbels would have been proud. 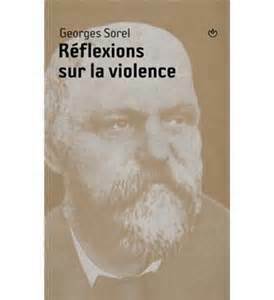 Georges Sorel: Radical Syndicalist who believed all politicians were liars. ‘Democracy succeeds in confusing people’s minds, preventing many intelligent persons from seeing things as they are, because it is served by advocates skilled in the art of confusing issues, thanks to captious language, a supple sophistry, and a monstrous apparatus of scientific declamation. It is especially with respect to the democratic era that one may say that humanity is ruled by the magic power of big words rather than by ideas, by formulas rather than by reasons, by dogmas the origin of which no one ever dreams of seeking rather than by doctrines founded on observation’. David Cameron and Nick Clegg: Two of the politicians trying to prove Sorel right. 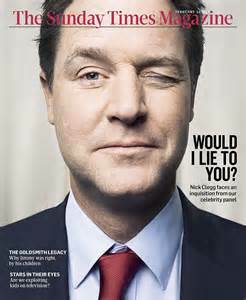 This exactly describes the Coalition, which has indeed deceived – and continues to deceive – the British public, and whose doctrine are neither exhaustively scrutinised by the Fourth Estate, but simply repeated as obvious common sense, nor are founded on observation. In fact, IDS deliberately seeks to obstruct proper examination of his policies by dragging his feet over giving any information to the Work and Pensions Committee, and blocking release of the figures showing the number of people, who’ve died after being thrown off benefit by ATOS. There are dangers to this cynicism. Sorel’s radical anti-parliamentarianism, and his cult of violence expressed in Reflexions sur la Violence, influenced both the Bolsheviks in Russia and Mussolini’s Fascists. When he died both countries sent delegations to pay their respects. However, the atrocities committed by the great totalitarian regimes like the above in the 20th century have had an effect in turning many people off politics. Certainly very few now have any time for extremist political doctrines like Communism or Fascism. The result is that most of the population, rather than seek radical answers outside parliament, or the reform of politics itself to make it more representative and more responsive to the needs and desires of the electorate, simply turn away. Faced with dissimulation and corruption, people simply change channels on the TV, or turn to the celeb gossip or the sports pages in the newspapers. ‘How do you tell when a politician is lying? His lips move’, as the old joke went on the late, and very great Max Headroom show. Which may be exactly what the politicos want. Political journalists noted that Blair’s government was highly suspicious of the general public, and was very careful to stage manage congresses and meetings with them to present Blair in the best possible light. Mass membership of the Labour party declined, as voters felt Blair was not interest in the views of the little people, only in rich donors. The same attitude pervades the Conservative and Liberal parties, which have also seen their membership decline for very much the same reasons. Not that this bothers Cameron and Clegg. These are upper-class aristos, leading a government of upper-class aristos. I get the impression that their background and temperament makes them instinctively distrustful of modern, mass politics. They’d far prefer that of the 18th and early 19th century, when there was a proper property qualification to vote, which excluded all but 20 per cent of the population from having the vote. This left government in the hands of the aristocracy, like themselves. Mike has reported how the government’s reforms of the registration system for voting will leave many confused and so disenfranchised, which certainly seems in line with such an attitude. Possibly in dark corners of smoke-filled rooms in Whitehall or Chequers Cameron, Clegg and the rest of the old Etonians gather round to complain about how it all should have stopped with the Great Reform Act of 1833, or at least with Disraeli’s expansion of the franchise in the 1870s. After all, the rotten and pocket boroughs weren’t all bad, and at least guaranteed the right sort of people a place in parliament. Richard Nixon: the corrupt politician’s corrupt politician. But at least he knew how he put young people off politics. 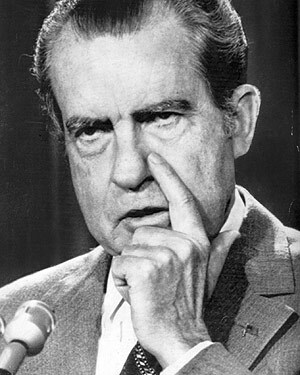 Richard Nixon had the self-awareness to recognise that his attempts to overthrow the American constitution had put the young and idealistic off politics. In his interview with the late David Frost, ‘King Richard’ said he’d like to apologise to the young kid, who now felt all politicians were liars and frauds. His apology wasn’t sincere. Rather than being spontaneous, he’d carefully prepared it in order to gain public sympathy and wrongfoot Frostie. But even if he said it for purely selfish reasons, he at least was honest about the effects of his actions. There has been no such honesty from Cameron and Clegg. Mind you, they’ve got away with it. Nobody’s impeached them. But we live in hope. Bite the Ballot are doing an excellent job of encouraging young people to take an active interest in politics. Public turn out at elections is declining alarmingly, to the point where I feel there is a real danger of politics simply becoming the preserve of an elite managerial class, which is funded and co-opted – not elected -from their friends in industry, with the masses kept a very poor second, if at all. If politicians really want people to start turning out at elections and give them a mandate for their policies, then the tenor of much modern politics needs to be changed. The political parties need to turn their attention to recruiting and representing the public, not rich donors. We also need politicians and governors, who can speak simply, clearly and without the management jargon that has now got into modern politics. People with a more ordinary background, who know what it is like to be a member of the working and lower middle classes, who have worked 9 to 5 jobs worrying about take home pay, rents and mortgages, and the difficulties of getting the kids into a good school, rather than the ambitious young things straight out of politics, philosophy and economics courses, and who understand that world only from the statistics they’re given by think tanks, Special Advisors and whichever management consultants or financial firm is the current governments flavour of the month. But most of all, they can start by actually telling the truth to the public, and not cynically lying just to get a few more votes. One of the other books I’ve been reading lately is Alex De Jonge’s biography of Stalin, Stalin and the Shaping of the Soviet Union (Glasgow: Fontana/Collins 1986). During his career Stalin is estimated to have killed at least 30 million Soviet citizens – though the real figure may be a high as 45 million or over – through a series of purges and artificial famines as he transformed the Soviet Union into the military and industrial superpower that was to dominate half of Europe and challenge America for world mastery for the next fifty years. From his boyhood Stalin was a thoroughly nasty piece of work. The son of a drunken, abusive father, who used to challenge his son to knife him when beating him and a hard mother, Iosip Vissarionovich Djugashvili, grew up dirty poor in the village of Gori in Georgia, one of the countries in the Caucasus that had been absorbed into the Russian Empire. The family lived in one room of a two-room house. The other was occupied by their landlord. He was short, only 5’4” tall, with an elbow left permanently stiff through a childhood accident. The second and third toes on one of his feet were conjoined from birth, and his faced had been left pockmarked through smallpox. This and his family’s poverty gave him strong feelings of inferiority. He soon developed a deep hatred of anyone in authority above him, and his need to dominate and utter lack of any feeling for others were commented on by his fellow students at the Orthodox Christian seminary in Tiflis, in which his parents had enrolled him. One of them remarked on how he was never known to cry, and greeted the joys and misfortunes of his fellow students alike with a sarcastic smile. Most of all, the young Stalin already was alien to basic human altruism. He could not understand how anyone could act kindly or generously to another out of the sheer goodness of their heart, without some ulterior motive. At the seminary he joined a secret Marxist discussion circle set up by some of the other students. He managed to split this between his supporters and opponents through his absolute insistence that only his interpretation of Marx’s doctrine could ever be correct. He was also already an advocate of absolute, ruthless personal government. One of the stories about Stalin’s time at the seminary is about an essay he wrote on the fall of Julius Caesar. The history teacher had set them the question ‘Why did Caesar fall?’ Stalin’s essay looked at the question from the perspective of the organs of state power, identifying weaknesses and filling in the gaps where these could be strengthened. He stated that Rome’s greatest dictator fell, because he had allowed another source of authority and resistance, the Senate, to continue uninterrupted. The provincial governors opposed him, because they feared his power more than that of the Senate. He also made the mistake of relying on the support of friends, rather than managers, who depended on him for power and who could be relied on to do his bidding. As a result, he was assassinated by his two friends, Brutus and Cassius. When he was asked if his essay was recommending absolute monarchy, he responded by saying that it did not. Absolute monarchy was the control of the state by a single personality. In Stalin’s view, his recommendations were the exact opposite: the strengthening of state power through a single personality. books, like Darwin’s On the Origin of Species and Marx. He demanded that the other members of the Marxist discussion circle should likewise resign, so that they could concentrate on revolutionary activities and propaganda amongst the people. They refused, offering the excuse that they didn’t want to disappoint their parents. So Stalin denounced them all to the seminary authorities, who threw them out anyway. On their expulsion, Djugashvili told them that they were now free to pursue their revolutionary activities amongst the people. After this, the young revolutionary became a kinto, the Georgian term for a semi-criminal street hustler. His revolutionary activities included a series of bank robberies used to fund the Russian Social Democratic Party, the parent Marxist organisation which produced the Bolshevik faction, that later became the Communist Party of the Soviet Union. So the pattern of Stalin’s personality and rule were present from his childhood: feelings of inferiority, hatred of authority, utter ruthlessness and a need to dominate others, with a predilection for absolute power and the willingness to use violence to obtain it. I can’t remember if it was De Jonge’s book, but I do remember that in the 1980s the Sunday Express reviewed one of the biographies of the monster. This was done as yet another of the ‘real truth about an icon of the Left’ that the Right-wing press runs every now and again in order to discredit anyone, whose views are to the left of Maggie Thatcher. In fact, Stalin had been discredited long before the 1980s. He had been out of favour in the Soviet Union ever since the ‘Secret Speech’ of 1953, in which Khruschev denounced his ‘cult of personality’. Moreover, the old thug’s fiercest critics included not only non-Communist democrats, but also dissident Marxists like Roy Medvedev, an historian and author of Let History Judge, which exposed not only Stalin and his crimes, but also his henchmen. The book’s Russian title is, if I can remember correctly, B Dvortse Istorii, which literally translated means In History’s Court, which might have a slightly different shade of meaning. Medvedev was a democrat. He presented to Brezhnev a 12-point plan drawn up by himself and other leading Soviet dissidents like Andrei Sakharov. Nevertheless, he was a Marxist, who founded the Socialist Party of Russian Working People in 1991 in opposition to the banning of the Russian Communist party after the coup against Gorbachev. ‘At first sight the country over which he and they ruled strikes Western observers as alien, as indeed it is when judged by the standards and practices of Western political democracy. However, when considered from a different point of view, much that may seem strange at first sight will strike the reader as surprisingly familiar. My interest in Stalin began many years ago, when I was in a position to compare what I knew of him with the atmosphere in a large British corporation, ruled by a chief executive who believed in management by terror. Everyone, fr4om the board of directors to the lift man, existed under the continuing threat of dismissal without warning, while sackings appeared to occur on a virtually random basis. The chairman set ambitious targets based on his intuitions, seldom listened to advice and never admitted he had made a mistake. He was surrounded by an entourage of sycophants who passed his management style down the line, subjecting their own subordinates to the same kind of bullying, with the result that the corporation operated in a terror-laden miasma of politicking, backstabbing, misrepresentation of personal achievement and the sophisticated ‘management’ of company news. Nevertheless, the technique got results, and while the chairman’s intuitive methods produced some spectacular failures, they could also be spectacularly successful. It was a world in which the dangers were colossal, but in which the rewards were commensurate with the risks. For many years I had supposed this style of management to be unique and that those who had had the misfortune to know it were exceptionally unfortunate. However, I have come to understand that in the world of the nontenured, administration by fear, with the firing squad replaced by instant dismissal, is closer to the rule than the exception. Indeed, it appears to be the norm for any organization in which the administrators are not accountable to those under their authority and in which there is no job security. Academics tend to tr4eat STalin’s Russia as a savage and alien society that requires sophisticated analytic techniques to understand it, because tenure protects them from that perpetual threat of job loss that, with all its attendant office politics, drawn daggers and smoking guns, is part of the fabric of most peoples’ daily lives. They fail to appreciate that Soviet reality ‘begins at home’. Now this reminds very strongly of IDS’ DWP. Let’s see, run by a bully, who governs by his own intuitions untrammelled by facts? Check. An atmosphere of fear of dismissal, with the subordinates passing this down the line to those under them? Check. Carefully managed news? Definitely check. Backstabbing? Absolutely. Furthermore, like Stalin the ultimate use of terror is the benefit sanction, in which the victim is denied state support. You can compare this to the artificial famines Stalin and his subordinates created during collectivisation, and which devastated the Ukraine in what has become known as the Holodomor. And people are similarly starving in Britain through Smith’s policies, and have died as a result. See the blog entries by Stilloaks, Mike, The Void, DEAP and Jayne Linney for this. As for the personal psychology of the two, like Stalin IDS also appears to have an inferiority complex. There is, after all, considerable doubt whether he was actually an officer in the British army. IDS also seems to share Stalin’s intellectual vanity. Stalin became General Secretary of the Communist Party as the other Bolsheviks thought that he was too thick to present much of a threat. They believed that a Napoleonic dictator would arise after the Revolution to rule by fear. Unfortunately, they looked in completely the opposite direction, and thought it was Trotsky. Trotsky was, after all, the head of the Red Army during the Civil War, and was a far more sophisticated thinker than Stalin. And so they were looking in completely the wrong direction, while Stalin was under their noses carefully using his position to throw out anyone, who was not absolutely loyal to him. From being a thicko, who didn’t properly understand the niceties of Marxist doctrine – in the 1930s he was still supposed to be taking lessons in Dialectal Materialism – Stalin suddenly became the greatest genius of all time and all humanity, who not only understood Marx thoroughly, but had also personally solved certain problems in Plato. IDS similarly claims an intellectual ability he doesn’t possess. He has, after all, claimed to have a degree from an Italian institute of higher education, which actually doesn’t issue them. As for spin and backbiting, it was IDS, who appears to have blamed one of his subordinates for his own mistakes. He regularly refuses to release the figures on how many people have died after being declared ‘fit for work’ by ATOS, and delayed appearing before the Work and Pensions Committee for as long as possible. Like Iosip Vissarionovich from Georgia, he also believes himself to be above the law. And like Stalin, IDS personally likes to appear surrounded by armed thugs. When he appeared before the parliamentary Work and Pensions Committee, he was surrounded by bodyguards and armed policemen, who kept their guns trained on the public gallery, including disabled visitors and their carers. So IDS also has the old brute’s absolute contempt for the poor and most vulnerable in spades. There are, however, some differences between the two. So far, Ian Duncan Smith and Cameron are not following Stalin in demanding mass arrests, and deportations to forced labour camps, although there are extremely ominous signs of something like them in Osborne’s plans to expand workfare. But the main difference is in success. Stalin was ruthless, but he turned the Soviet Union into the world’s second superpower. During the 1930s the country had an economic growth rate of something like 30 per cent. Vast industrial combines, such as those in the Donbass, virtually appeared overnight. The Tories, on the other hand, have consistently wrecked Britain’s industrial, manufacturing base. Osborne is claiming that we are well on the way to recovery, but this is only through a very clever manipulation of the statistics. So IDS and his Tory party comrades have all of Stalin’s defects – the murderous ruthlessness, with absolutely none of the old psychopath’s capacity for turning the country into an industrial giant. And this is the man, who, as head of the Department for Work and Pensions, is in charge of the lives of millions of the poorest and most vulnerable. Private Eye has long been extremely critical of the shell companies and the British tax legislation and accountancy firms that support them. These are companies that largely exist in name only, which are used as an accountancy trick to allow corporations to avoid paying tax in Britain by falsely claiming that they are resident, or owned by companies in foreign tax havens. It dates back to Blair and New Labour, but as with everything corrupt that benefits big business, it’s been taken over by the Coalition. Now, according to the Eye’s Christmas edition, these companies have been used for something even more pernicious and sinister: the attack on liberal journalism itself on the Ukraine. The Eye’s article ‘Tricking Kiev’ reports how a network of shell companies was used by the American-Ukrainian businessman, Alexander Altman, to wrest control of Ukrainian news agency, TVi, from its rightful owner, Konstantin Kagalovsky, a Russian businessman based in Britain. ‘The battle in the Ukraine between pro-European reformers and the friends of Russia’s Vladimir Putin is partly a fight for control of the media. Luckily for the oligarchs, they can rely on the acquiescence of TVi. Once a source of investigative journalism, it is now a feeble wreck thanks to a massive fraud perpetrated with the help of Britain’s lax corporate regulations. As Eye 1344 reported, American-Ukrainian “businessman” Alexander Altman walked into TVi in April, and astonished its journalists by saying that he was now their boss. He locked out its owner, the British-based-based Russian businessman Konstantin Kagalovsky, and ordered reporters to stop causing trouble on pain of dismissal. In a withering judgment at the High Court in London last week, Mr Justice Turner said there had been a “coup” at TVi, accomplished by “using forged documents comprising fake powers of attorney, board resolutions and board minutes”. TVi’s baffled owner found that control had passed to a British firm called Balmore he had never heard of. No one could blame him for his ignorance. Balmore was an off-the-shelf firm, which Mr Justice Turner said “was in the precarious position of having beern served with a notice that it was to be struck off the company register for failing to submit an annual return”. On the day Altman moved against liberal journalists in Kiev, Balmore’s annual return was prepared and filed electronically to Companies House in Britain. The rightful owners’ lawyers secured an injunction in the summer saying that Altman must disclose information on how TVi had gone from Balmore into a maze of British shell companies. Robert Dougans, Kagolovsky’s solicitor, said Altman had refused to comply and was thus guilty of contempt of court. Even Altman’s London lawyers, Kerman & Co appeared to suspect that something unprofessional and unethical may have been going down. Internal emails, revealed to the court, show Sebastian Devlin, an associate lawyer at the firm, warning partner Carl Robinson that he saw a “real risk” in complying with Altman’s wishes. As the judge drily noted, Robinson was “unable to proffer any clear Explanation” on what Altman had asked Turner that had so worried his colleague. Throughout the contempt case, Altman said he was the victim of a “set up”. He got out of bed one morning and found that he was associated with mysterious British companies. The judge was having none of it. If Altman were an innocent victim, “he would have made far more strenuous efforts to find out what had happened”. He “knew full well “why the companies had been formed. He was their “controlling mind”, who had retained Kerman & Co and handed them boxes of corporate documents. The judge found Altman guilty of contempt, and will sentence him next year. (Private Eye, 21 December – 9 January 2014, p. 33). This is a serious attack on the nascent free press in the new, post-Soviet state. The Ukraine is one of the oldest of the Russian states. As the kingdom of Kiev, tt was founded in the early Middle Ages by Varangian Vikings, who intermarried with and adopted the culture of the indigenous Slav population. Under its king, Oleg, in the 9th century it established relations with the Byzantine Empire. Oleg marched to Constantinople at the head of an army and after sacking its suburbs and nailed his shield to the city’s wall. As well as extracting tribute, he also demanded a number of agreements establishing trade between the Empire and Kievan Russia. The Byzantine Emperor acceded to his demands, and Oleg married a Byzantine princess. Later in the century, sometime after 988, the Kievan king, Vladimir the Great, converted to Christianity. This marked the beginning of the Orthodox Church in Russia, as well as the beginning of the Russian view that they are the ‘Third Rome’, after the Eternal City itself, and Constantinople, the capital of the Byzantine or eastern Roman Empire. The country takes its name from the Ukrainian word ‘Krai’, which means a border area. During the Middle Ages it was part of the Republic of Poland, before being conquered and incorporated into Russia. 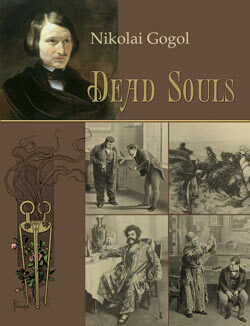 The Ukraine has produced some of the greatest Russian authors, including Nikolai Gogol and Mikhail Bulgakov, the author of the White Guard and the Master and Margarita. One of my father’s workmates was Ukrainian, who finally moved back his native country to be with his family after the fall of Communism. One of my friends has also lived and worked in the former Eastern Bloc. A few years ago he holidayed in Kiev, and really loved the place. When he came back he proudly showed me the various sights he’d seen. Back in the 1990s there was some pessimism about the new, post-Soviet nation’s future. There has been considerable friction between the western Ukraine, which is largely rural and Roman Catholic, and the industrialised, Orthodox east, which has a large Russian population. Some observers and commenters feared that the country would degenerate into ethnic conflict and possible civil war, along with the emergence of anti-Semitism. While the country is clearly divided over the question of its ties to either the EU or Putin’s Russia, large scale conflict has been avoided. Indeed, the Financial Times was so impressed with the new state that in an article about it, the newspaper described it as almost a magical place, straight from a fairy-tale. The question of whether the country has closer ties to Russia or the EU is, of course, an issue for the Ukrainians themselves to decide. To do so, and to strengthen their democracy, they need a genuinely liberal, free press able investigate corruption and dodgy political dealing. Unfortunately, the extremely lax corporate legislation over here has meant that this is being stifled to serve very powerful, corporate interests. The use of this legislation to attack Ukrainian free journalism also poses a threat to the free press in the rest of the world, including this country. Globalisation has meant that the world is now interconnected, and once international big business feels it can get away with something in one country, it will try and use the same tactic elsewhere. We cannot afford to see this as merely a problem for a far away country, tucked away in the former USSR. If it is allowed to succeed in the Ukraine, then it will eventually come here. As I’ve mentioned on this blog before, I’ve been attending a course at the M Shed here in Bristol intended to better equip we unemployed to find and hold down a job. It’s an interesting mix of people from a variety of backgrounds, and it’s fascinating talking to them about their experiences and hearing their perspectives on the government and the current situation. One of the ladies on the course is Polish, and its interesting talking to hear about her country and the situation over there after the fall of Communism. Alarmingly, it seems that in both Britain and supposedly democratic Poland, the political elites are becoming increasingly suspicious and distrustful of their citizens. We’ve seen this most recently in Britain in Ian Duncan Smith’s militaristic conduct before the Work and Pensions Committee. Smith appeared before the Committee accompanied by bodyguards and armed policemen, who pointed their weapons at the public gallery, including a party of disabled people and their carers. Quite what Smith feared a group of respectable members of the British public, who had already been checked by security, would do is a mystery. Presumably he now simply thinks that anyone disabled constitutes some form of threat, regardless of their ability or even basic willingness to assault him. This disgusting incident, the Coalition’s attempt to suppress democratic debate by third parties in their Transparency and Lobbying Bill and the threat to the right to peaceful demonstration posed by the latest anti-nuisance legislation, are merely a part of a long process that has been going on since Thatcher. One of the other people attending the course jokes about wanting a job as an assassin so he can kill David Cameron. When he did so this week, I replied that he might have a problem with that, as I think there’d be a queue. Someone else added that you’d have a problem getting anywhere near him with the security he’s got round him. I told the Polish lady that this was a real issue. I described how Downing Street had originally been open to the public, who were quite able to go up and down the street as they wished. It was now closed off, and there were similar restrictions around the Houses of Parliament. She replied that it was like that in Poland. One of her relatives had worked at the Ministry of Information during the Communist dictatorship. At the time it was quite open to the public, so that anyone could walk in off the street and talk to an official there. There was someone sat at a desk watching them, but that was all the security there was. Now it’s completely different. To get into the building now, a visitor has to pass through several layers of security. She said it was one ironic that the place was now so heavily guarded under democracy, when it had been free of this during the Communist dictatorship. Listening to this, it seems to me that there is a common process at work across the globe. The Guardian’s John Kampfner wrote a book a few years ago discussing how the world’s governments, from Blair’s Britain to Singapore, Putin’s Russia and China, were increasingly suppressing democracy. He believed that at the time the world’s governments were doing this, they were also trying to provide for economic growth. This is almost certainly true in the case of the three other nations I’ve mentioned here, but I see absolutely no evidence of George Osborne being interested in making anyone wealthy, except those who are colossally rich already. The governing elites, whether in the nominally democratic West or in the authoritarian states of Putin’s Russia, Singapore or China, increasingly fear and distrust the people, on whose behalf they claim to govern. In Britain some of this increased security was a result of the IRA’s mainland bombing campaign, which in the 1980s saw a bomb attack on hotel venue for the Conservative Party conference in Brighton, and a mortar attack on 10 Downing Street. More recently there have been fears of Islamist terrorists following the 7/7 London suicide bombers, and other attempts, like that during the G8 conference in Glasgow, which have mercifully been foiled. The increased level of security, and the restrictions on the individual’s right of access to parliament, or passage through Downing Street, is far out of proportion to the actual level of threat. When Blair placed further restrictions on how close public demonstrations could come to parliament, the Conservative press strongly criticised him, pointing out that such measures weren’t imposed by previous governments, even during the IRA’s terror campaign. It seems very much to me that there now exists across Europe and the rest of the world, a transnational governing elite that, in the West at least, loudly and ostensibly declares its support for democracy while harbouring a deep suspicion of the masses whose interests they claim to represent, but with whom socially and educationally they have nothing in common. And that’s every bit as grave a threat to democracy as any group of murderous extremists. The problem is particularly obvious and acute in eastern Europe. After the fall of Communism in the former East Germany, some of its citizens experienced ‘Ostalgie’, a nostalgia for their old, Communist country. Despite the federal government’s attempts to prop up the old, Communist industries, many of the firms simply could not compete in the new, free Germany and went under. The result was a wave of unemployment. Faced with a democracy that seemed unable to provide for them, some turned instead to the Far Right. There have been similar problems elsewhere in eastern Europe, and other countries have also seen the emergence of extreme Nationalist parties. If democratic governments cannot provide their citizens with a better standard of living than they had under the dictatorships, and actively seem more dictatorial and authoritarian in their way, there is a real danger that their citizens will turn to anti-democratic, authoritarian movements, whether of the Right or Left. That’s one of the dangers in the East, quite apart from the present danger that, across the globe, Neo-Liberal elites, mouthing reassuring slogans about democracy and pluralism, are gradually suppressing democracy where it conflicts with their policies.